We negotiated for 3 days this week and dealt with some "minor" monetary articles. Negotiations are moving along and we are hopeful to have an idea of the "monetary availability" at out next round which is the end of March. We met on February 19th and 20th and we were successful in signing off on the last non-monetary package. On February 20th, we gave the Employer the monetary package. We will be meeting from February 26th-28th to negotiate the monetary proposals. We will keep you updated as we progress. Happy Valentines Day! Following the Government's announcement of the cancellation of the scheduled February negotiations dates, the received positive new a today. We will be at the table as as scheduled on February 19 and 20, and February 25th, 26th, 27th and 28th. We hope these two rounds will be successful. Our last round of bargaining took place at the Fredericton Inn on January 28th, 29th and 30th. To date, we were successful in signing off on most of the non-monetary articles. We are at the table bargaining for all classifications. Unfortunately, we received a call on February 11th, from the Government cancelling all our dates for February and still no mandate. This is disrespectful and we are very disappointed with the decision the Government has taken. CUPE Local 2745 believes in RESPECT and we will stand in SOLIDARITY. Your Negotiating team met with the Employer on October 23rd, 24th and 25th. We work very diligent to make sure there were no concessions. During this round of bargaining, we were not able to sign off on any packages. We hope that our next round which is scheduled for December 10, 11, 12 and 13 will be more productive. 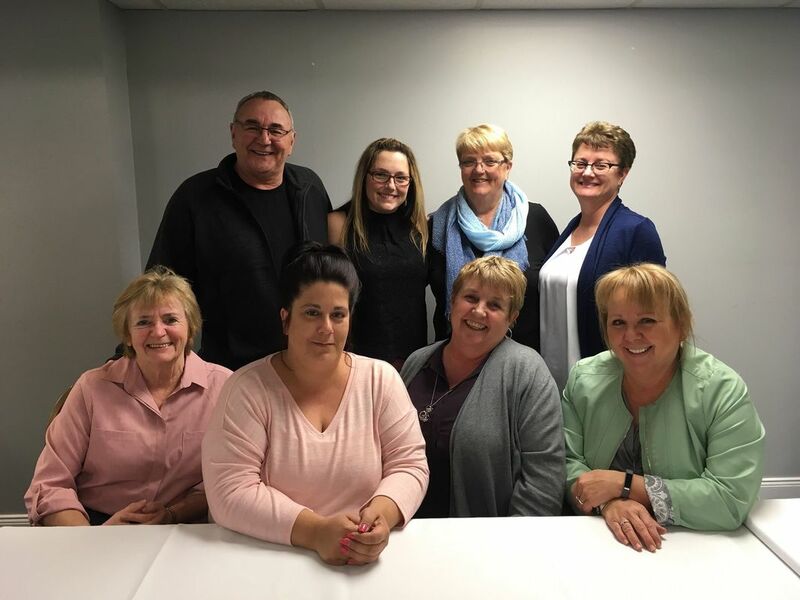 We know that members are looking forward to a new collective agreement and your team is working very hard on your behalf to achieve this goal and we appreciate your support. Our last round of bargaining was held on September 18th, 19th, 20th and 21st. Although we were not successful in signing of a package, we did agree in principal to a number of articles. We will be back at the table on October 23rd, 24th and 25th. Your committee is working extremely hard on your behalf to reach a new collective agreement and we will keep you updated as we proceed. The bargaining team met with the employer on May 22nd, 23rd, 24th and 25th. The process went well, we signed a package containing housekeeping items and started discussions on a second package. Our next meeting is scheduled for June 5th, 6th, 7th and 8th.